This is the only city in North America where you can still see its original 17th century ramparts, bastions and gates, surrounding the UNESCO-listed Old Quebec. 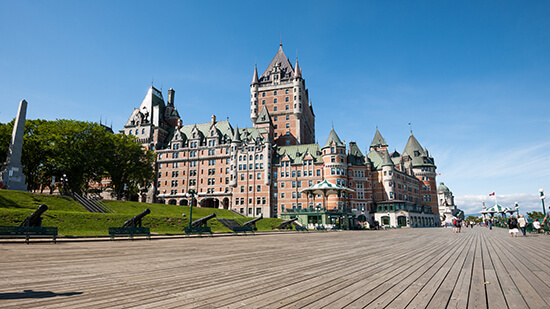 It’s also home to the fortress-like Château Frontenac, a landmark luxury hotel and historic monument. Banff is the oldest national park in Canada and thus has plenty for history buffs to discover. Try the Banff Park Museum for ancient collections of flora and fauna, the Whyte Museum for archived artworks of the Rocky Mountains, and the Cave and Basin National Historic Site. At this classic bathhouse you can breathe in the sulphuric mineral springs while learning about the creation of the park. 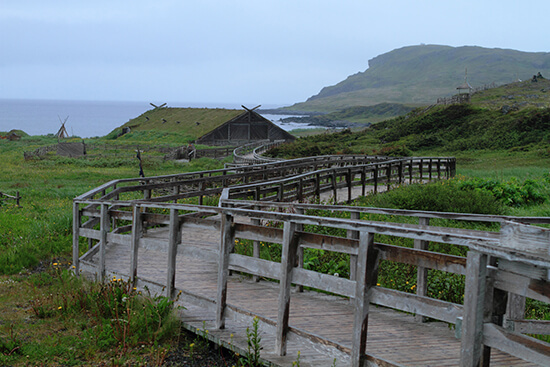 Head for the archaeological site of L’Anse aux Meadows, at the very tip of Newfoundland, where you’ll discover the reconstruction of Viking relics dating back over 1,000 years. According to UNESCO, this is the first and only Norse site in North America, and it also offers the earliest evidence of European settlement in the New World. British Columbia is famous for its ties with the First Nations people and, at North Vancouver’s Capilano Suspension Bridge Park in particular, you can catch a glimpse of Aboriginal culture first-hand. Totem poles, hand-carved canoes and educational boards provide a fascinating look at the historical connection between tribes and nature. If weathered beach landscapes, lighthouses and great-tasting fresh catch are on your list of things to enjoy on a drive, then motor on to Prince Edward Island. This pretty landmass, of Anne of Green Gables fame, is made for hitting the tarmac and offers great stop offs; go deep-sea fishing, spot giant windmills and eat pie made of seaweed along this 217-mile drive. We can’t praise this route enough. Stretching through Banff and Jasper National Parks, it offers dozens of tranquil mirror lakes, glaciers and mountains just ripe for hiking to, or admiring from a distance. You’ll spend more time stopping and wandering than driving, but that’s the whole point of a road trip, right? Just 35 miles west of Montreal, peaceful Hudson sits delicately alongside the Ottawa River. Its days are filled with farming, arts and crafts and flea markets. For the 5,000 residents (many of whom are bilingual) the feel here is generally one of pleasant relaxation, far and away from the hustle and bustle of Quebec’s cities. 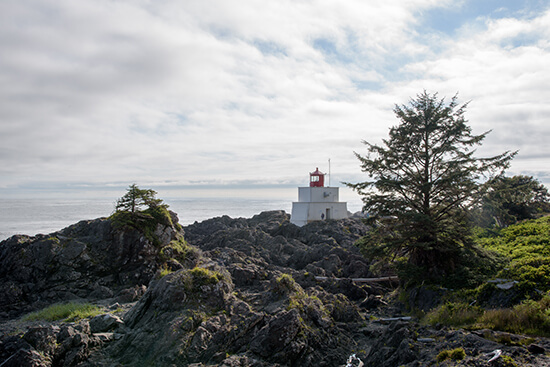 Located on the tranquil Vancouver Island, Ucluelet is a paradise of wild walks along the Pacific Rim, natural beauty and wildlife. It boasts a laid-back atmosphere and good food aplenty – perfect for grabbing a slice of leisure with a side of fresh sea air. No visit to Nova Scotia is complete without taking in the fantastic Bay of Fundy. It's known for many things – its fossil cliffs, hiking and vineyards – but, really, all we care about is that it’s got the world’s highest tides. Where better to hop into a small, inflatable boat? At the mouth of the Shubenacadie River you can embark on a tidal bore rafting trip, riding the collision of the water as it powers into Fundy’s tides. Not for the faint hearted, but utterly thrilling. You will get (very) wet. If it’s good enough for the 2010 Olympic Winter Games, then it’s good enough for us. Whistler is where skiing gets serious. Offering the best powder in North America – nay, the world in this writer’s eyes – it’s perfect for grabbing a set of skis and hitting the slopes. 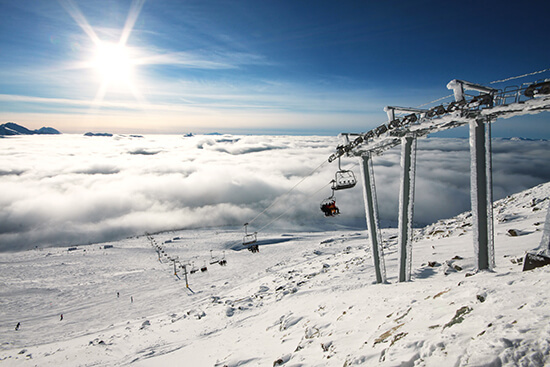 Together, Whistler and Blackcomb offer 200 marked runs, 8,171 acres of terrain, 16 alpine bowls and three glaciers. Icy. 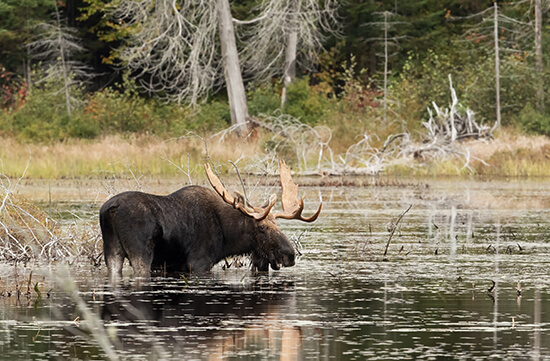 If it’s a great plethora of eastern Canada wildlife you want, there are few better spots than Algonquin. One trip here can have you spotting beaver, otter, white-tailed deer and – if you look closely – moose. Paddling silently through the park’s waterways on a canoe increases your chance of wildlife sightings. Okay, so naming two states is pretty broad, we know, but BC and Alberta are just packed with wildlife; it’d be rude to miss any out! If it's whale watching you crave, look for humpbacks and orcas in the Georgia Strait between the mainland and Vancouver Island. Search for the rare spirit bear in Klemtu, and look for grizzlies, black bears, moose, elk and chipmunk in Jasper – Maligne Lake is a particularly great spot. Basically, keep your camera handy when travelling through either state. Skirting the Arctic Circle, this Manitoba town is perfect if you’re looking for beluga whales and Polar bears but, more importantly, the Northern Lights. Between September and March, the aurora is strong here - and particularly stunning against a backdrop of towering, snow-blanketed forests. 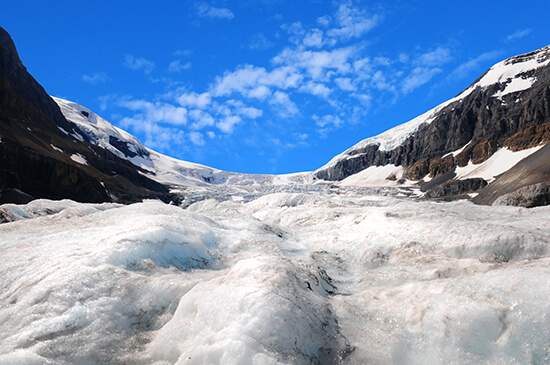 The most accessible toe of the Columbia Icefield, no visit to Alberta is complete without stepping foot on this frozen land. Even better, there are eight-wheeler trucks that can take you up there, so you can spend your time throwing snowballs and drinking melt water rather than making the slippery walk to the top. Sadly the ice sheet is receding at an alarming rate – around 10m every year – so visit it before it disappears. Picked a side? Or still need some guidance? Make an appointment to speak to our Travel Experts face-to-face about your tailor-made holiday to Canada.